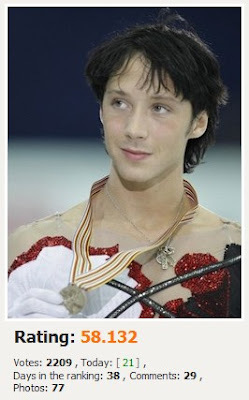 The Best of Binky's Johnny Weir Blog: "Should Anything Happen to Me..."
So yesterday Johnny addressed the anti-LGBT crisis in Russia for the third straight week in his column for the Falls Church News-Press. In his latest and possibly most powerful entry yet, he answered those critical of his previous week’s column, in which he spoke out against a boycott of the Sochi Olympics. It has been brought to my attention that I value gold medals and dazzling performances more than human rights and lives ... For the record, there is no medal or performance that is worth a life. My stance is simply that a strong pro-LGBT presence in Sochi will only help to show how backward and out of touch the Russian government’s laws are. [I]t has been said that I am pushing for our athletes to compete in Sochi for completely selfish reasons. 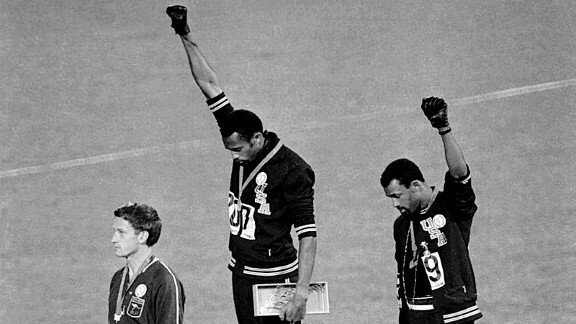 While the opportunity to compete in another Olympics is self satisfying, I was also thinking of the rest of the US team and their struggles and years of dedication to lose the opportunity of a lifetime when throughout history, sporting boycotts accomplish very little politically. A much stronger statement is to represent a country who does back the LGBT community, and represent them well. I must also note, that despite some posters’ opinions, I currently do not have a sponsor and should I qualify for the Olympics in Sochi, I will not earn one dollar for my efforts. [A]nother Holocaust could be imminent. Boycotting Russia may seem like the best way to help, but I firmly believe that boycotting would also lead us to boycott the people we are trying to protect. I believe that should our presence not be felt in Russia ... it will anger the Russian government that their $50 billion spectacle of an Olympics was ruined and they’ll immediately turn fury on those who seemingly caused the humiliation, those we tried to protect. Aside from our presence being a positive thing for the LGBT community in Russia, and possibly helping to open the eyes of Russia’s lawmakers, the attention that will be placed on these issues will be priceless. 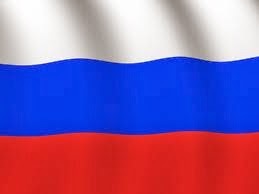 I would like to remind all those who are following my opinion on this story, I will proudly go to Russia and be myself and should I be arrested, I won’t cry, I will stand as strong as I possibly can to show that we are equal and normal in every sense of the word. I want to state that these are not empty promises or claims. 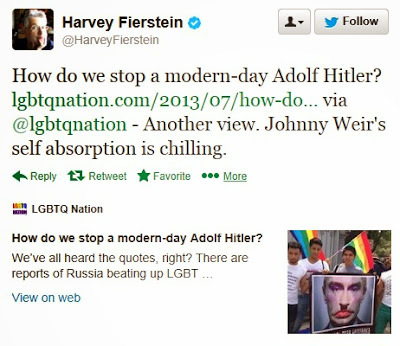 Which brings me to a little kerfuffle I had with Harvey Fierstein yesterday. UPDATE: In the time since this post was first written, the always-controversial Nikolai Alexeyev has continued to fight for LGBT rights in Russia in the ways that he believes are best. However, troubling comments have been made by him recently that are highly objectionable to many people, including myself, and have raised concerns. This post has been edited accordingly. Please feel free to do your own research on the Russia LGBT crisis and to draw your own conclusions. In addition to objective news reports, thoughtful, broad-perspective resources, in my opinion, include bloggers Scott Long, Richard Smith, and Nelson Garcia. You may recall that Harvey penned an impassioned op-ed in the New York Times recently on Russia’s LGBT crackdown, which I linked to here on the blog. I found his call to action compelling, and I applauded his uncompromising statement of his beliefs. Harvey favors boycotting all things Russian, including the Olympics, and has intensified his efforts to bring the world on board with his view since his op-ed was first published. As is clear from his own writings, Johnny takes the opposite view: that boycotting the Olympics would be ineffectual, and that it is a much stronger statement for LGBT athletes to show up in Sochi as out and proud as possible. The bottom line is, if you stay home, your message stays home with you. Starting Russian campaign “Sochi Olympics boycott - NO, Sochi Gay Pride - YES!” Join us! [W]e need to fight homophobia at the core in which it thrives: ignorance. ... Don’t boycott the games—“gay” them up. Ask for all nations supporting marriage equality to carry the rainbow flag with their nations flag. Ask all athletes with LGBT friends, family, or relations to come out and wear a flag, and, most importantly, tell their stories. So, as you can see from clicking on the tweet link, I and several others implored Harvey not to judge Johnny so harshly without taking the time to read Johnny’s most recent words on the subject, and we linked to Johnny’s column. My point was not to try to force Harvey to agree with Johnny’s view, of course (nor to bombard him into oblivion with tweets and links, though there’s a fine line there...), but rather to ask him to simply take the time to become fully informed and, despite their differences, to offer Johnny the same respect that Johnny holds for those who disagree with him, as he noted in yesterday’s column. @misfitmimes @HMilkFoundation @lgbtqnation Russian activists’ lives are on the line. Read their words. Let them guide your actions. In reading his Twitter, I see that Harvey apparently prefers to side with pro-boycott activist Masha Gessen, who is based in NYC, rather than with Nikolai in Russia, for reasons unknown to me (please see this thread on Johnny’s Facebook page, in which Nikolai offers some backstory. I sent this link to Harvey also. To be clear, I have no quarrel with Masha in any way and respect her activism and her right to her opinions). And then I found that Harvey had also posted his characterization of Johnny publicly on Harvey’s Facebook page, and allowed commenters to bash Johnny with enthusiasm. And name-calling. —and then he blocked me. IDK if he blocked others who had tweeted info at him on the same topic. What have we learned today, Squidward? While, in the scheme of things, this is a very small incident, I learned to my sadness that Harvey Fierstein is apparently more invested in his own grandiose view of himself and his opinions than in understanding the basis for another’s view, or in listening to those who are truly in harm’s way in Russia and helping them in the ways that they have said would actually be helpful. And yet he calls Johnny self-absorbed. In a separate post on his Facebook page, Harvey quotes Masha’s argument that having “strong and beautiful” LGBT people show up in Sochi “parading the rainbow flag” is “worse than useless” and does nothing to impact the government of Russia, wherein the real problem lies. That is exactly the point of the White House petition that Nikolai also is promoting: to impact the Russian government—which it has already done (see Nikolai’s Facebook. I especially love this post. And then please go sign the petition if you haven’t already). However, it does put him in agreement with all those noted above who, like Johnny, do not favor a boycott because it takes away exactly that opportunity: the chance to change people’s hearts and minds by BEING THERE. So Harvey’s opinions fluctuate from one moment to the next. I’ll give him that; it’s a deeply complicated crisis. And I realize feelings are running very, very high as the atrocities only seem to get worse. But attacking others without basis isn’t really helpful. Dear Harvey: You disappoint. Without facts/context, you pre-judge and name-call; then you refuse to take into account any info that conflicts with your prejudice. Your unwillingness to even consider—and your lack of respect for—both facts and others’ viewpoints leaves me little respect for you. For whatever reason, you’ve decided to target someone who is different from you; you broadcast your uninformed view about that person; and you cling to the willful ignorance in which that view thrives rather than allow your heart and mind to perhaps be changed through a journey into a brave new world of information. All I can surmise is that you don’t seem to want to know anything that conflicts with your own pre-formed opinion. You appear satisfied to hold to your prejudice despite others’ pleas to listen, to read, to ponder, to acknowledge that you might, in fact, have been mistaken in your negative assessment of another human being. In fact, your behavior seems faintly familiar. please notify my mother and my husband. 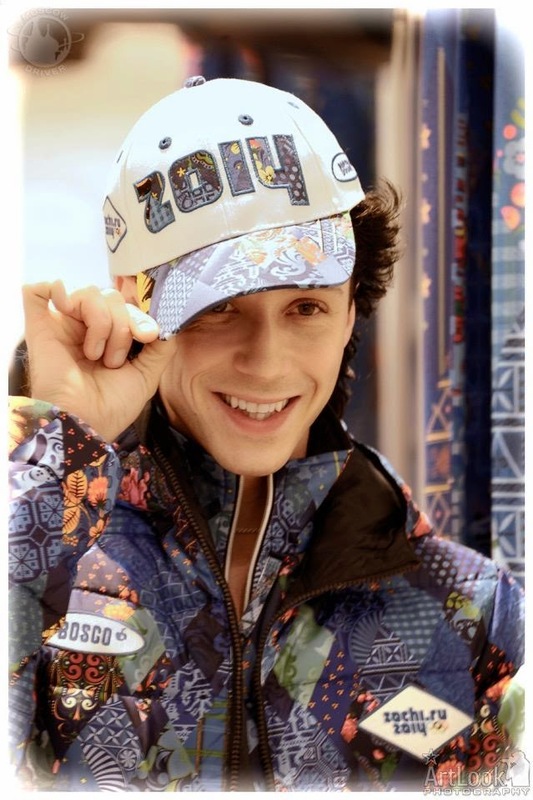 Johnny in Sochi 2014 gear. November 2012 trip to Cup of Russia here. and friends, some of whom are LGBT. and its potential impact on the Sochi Games. from about 16:35 to 21:35. From ABC World News with Diane Sawyer. Longer ABC piece from Good Morning America. In addition, he did another excellent radio interview with NPR’s Here and Now today. He also was scheduled to appear on CNN’s Situation Room with Wolf Blitzer yesterday, but it was postponed to this evening’s broadcast. the husbands’ Great Gatsby birthday party last weekend. on Facebook or on Google’s Picasa. autographed by Johnny is up for auction! and 50 percent to Johnny’s training fund. Bid now—the auction ends August 9! as their 2013 National Hero. 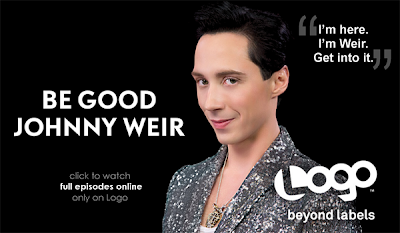 from July 2013 all the way to December 2014.
you’re in luck: It’s not too late to own a piece of Weir Gear! Go check it out and see what treasures you could take home! and what lies ahead for next season. 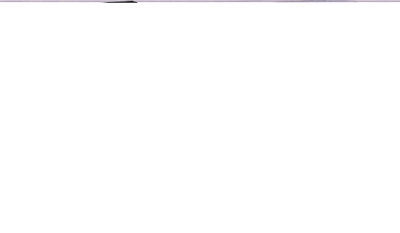 and the update on his website! to tell us he wants us to! MM: You are really in the trenches on this issue and providing excellent coverage as a result!! Kudos to you and thank you for your passion and keeping us all informed!! Binx, I love that you are such a stalwart defender of Johnny. One thing I've learned after 44 years of being an out lesbian & being active on & off in the LGBT political activist communities during those years is that, there are always going to be disagreements about how to best proceed against discrimination. I always feel saddened & disheartened when anyone in the community snipes at someone else in because of disagreements between points of view. Polite disagreement & discussion is a good thing, but the snarkiness that sometimes occurs, stinks. 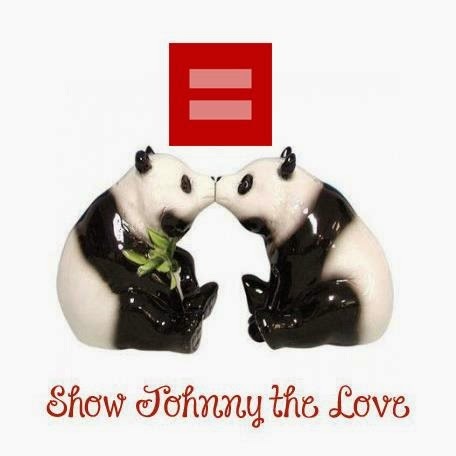 I see Mr. Fierstein's Twitter comment about Johnny to be a quite boorish example of snark within our community. We have enough nastiness that comes at us from outside our community, we don't need to do it to each other. All of that being said, this isn't the first, nor will it be the last time that someone makes some rude & snarkish comment about Johnny. This is something that he sadly, has lots of experience dealing with. I applaud him for standing his ground & being so articulate in his responses. Go, Johnny! Thank you, MM, for keeping track and making us aware of all the happenings. It is telling that Harvey Fierstein is following 0 people on Twitter. Although I am sure, he accesses his timeline, it indicates his mindset and his purpose on social media: to promote his message and not to gain information or engage with others. What is always disappointing to see and yet it is all too common, especially in online discussions, is that people who have been marginalized, bullied, called names, etc. have internalized this narrative to the point that they often unconsciously spit it out onto others. They become the perpetrators and continue the vicious circle without realizing it. We can only model what we know unless we become aware enough to change. On a more positive note, if the laws were passed after the Olympics, hardly anybody would hear about them and few news channels would even discuss it. In a way, all this debate happening right now has benefits of keeping the focus on the issues. Differences of opinion are healthy in a healthy society. 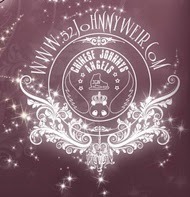 Johnny embraces that and gives opinions that show much wisdom. 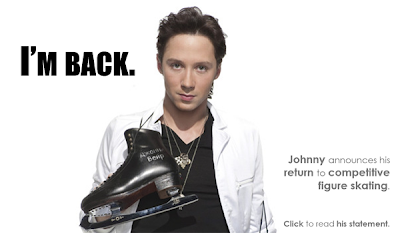 I am glad that Johnny takes the position that he does for continuing participation in the Olympics. The last thing LGBT in this or any other country need is a backlash of resentment by heterosexual athletes for not being able to compete after training for a lifetime. What I want to see is all the foreign athletes wearing the rainbow in the closing ceremonies to show their support of their Russian LGBT sisters and brothers. Also, I think that LGBT athletes need to compete and to be out in the open to show the world that they are healthy, hardworking contributors to their respective countries and that their hopes, needs and dreams are very much parallel to that of all other non-LGBT people. It is the brave high school and college kids coming out of the closet to their friends, relatives and classmates that is changing the dialog about LGBT here in America and bringing acceptance. Young Russians deserve to be able to do the same without fear. I'm mostly the lurker type, but having enjoyed your great blog for quite some time now, I want to thank you, MM, for your writing and your informed opinions on this matter. Over the past few weeks I've asked myself if and how I could help the Russian LGBT community, it has been a matter close to my heart, and so I really appreciate the way you have presented various points of view here. Although I don't always succeed, I have promised myself not to read most comment threads on the internet any more because the insults and disrespectfulness (and also stupidity ;-)) there just make me upset and sad. I rarely see the world in black-or-white, and so I can't understand the total unwillingness of many online commenters to even consider another's view on a difficult problem that of course has many aspects and not only one solution. What I mean to say is, without this blog I problably wouldn't have gained the dimension of insight into the matter that I feel I have now, and that has enabled me to form my own opionion (in peace, without having to read stupid hateful comments :-)). I have also enjoyed reading the comments above, and feel like I have really gained something by hearing all of your thoughts.